Looking to trim my collection a bit. It's growing too quickly. –Lost Vape/Modefined Sirius 200W Mod (Red/Black) – 45$ – Bought a month ago – Beautiful, durable and well-built box mod, sad to let it go but I need to move some stuff! –OBS Crius 2 Single RTA (Blue) – 30$ – Legendary RTA – about a month of use. –Vandy Vape Kylin Mini RTA (Black) – 20$ – about a month of use. 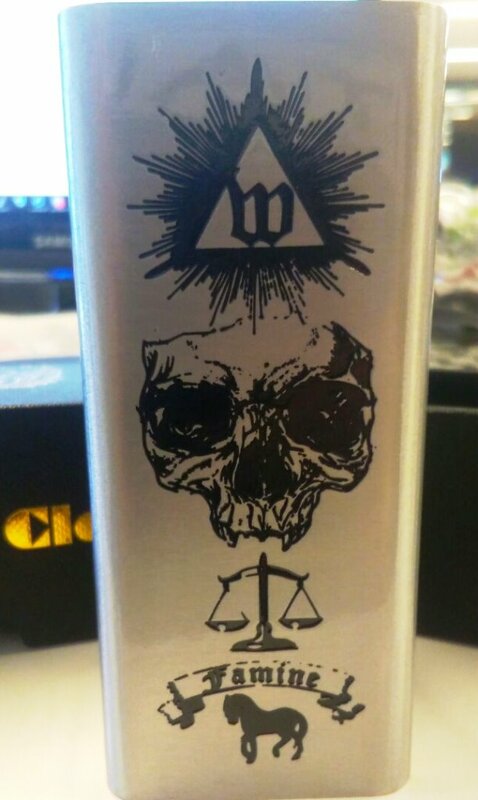 –Wotofo Bravo RTA (Black) – 25$ – about 2 weeks of use. –Oumier VLS RDA (PMMA) – 20$ – about 3 weeks of use. Any two rebuildables (EXCLUDING THE CRIUS) for 40$! All 3 (Kylin, Bravo, VLS) for 50$! Can also work out a bundle-price for say an atty + mod + batteries. Can include a free build of your choosing pre-installed (Framed Staple Ni80, Alien KA1 and fused clapton 316L SS available). –Vapestix ARC Tank (Black) – 10$ – about 2 months of use – comes with five 0.5ohm coil heads – does have some flaking/scratching of paint. –Married pair of Samsung 30Qs (15A rated by samsung 20A rated by mooch, 3000 mah) – 10$ for the pair- With about 25 cycles on them. I've rewrapped them in black. I am located in melbourne, free pick up and I am flexible on location. If you want em shipped elsewhere you must provide shipping cost.